Moments to treasure, step into a world of magical experiences, where the traditions and glamour of the festive season mingle with the freedom of our stunning natural environment. 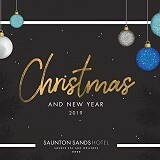 Saunton is the perfect setting to experience an unforgettable Christmas. 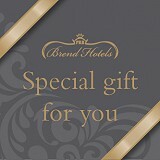 *Prices above are based on dinner, room and breakfast excluding Vellator which is self catering. Part of your Christmas Experience with us this year will include our new Source Spa and Wellness*, a new benchmark in soulful and physical wellbeing being inspired by our natural playground of Saunton Sands. You’ll have full access to our new thermal suite and state of the art gym. Please note Source will be open 7am-7pm except Christmas Day which is open 8am-midday and 4pm-9pm. We are delighted to introduce our 2018 Christmas programme! We are delighted to offer you our new 2019 Christmas and New Year brochure. Leave the stress of preparing for Christmas behind as you enter a magical festive escape by the coast. Please click on 'find out more' below to download.